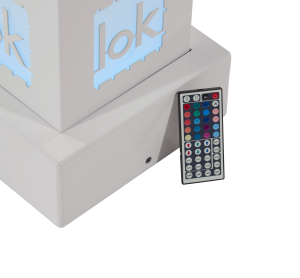 Letterlok® products are a new idea in room enhancement event furniture. 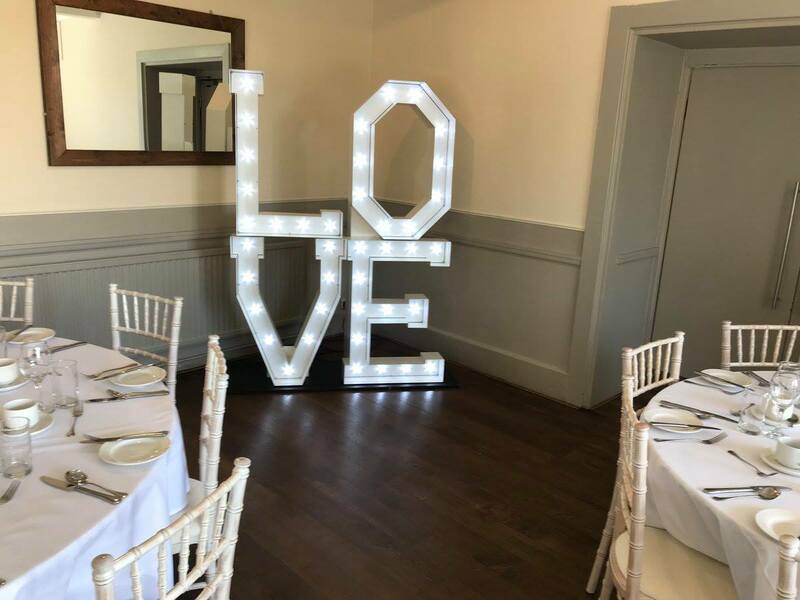 Designed to add focal points to weddings, birthday celebrations, corporate events etc., Letterlok® will allow you to up sell your venue or service with add on’s. 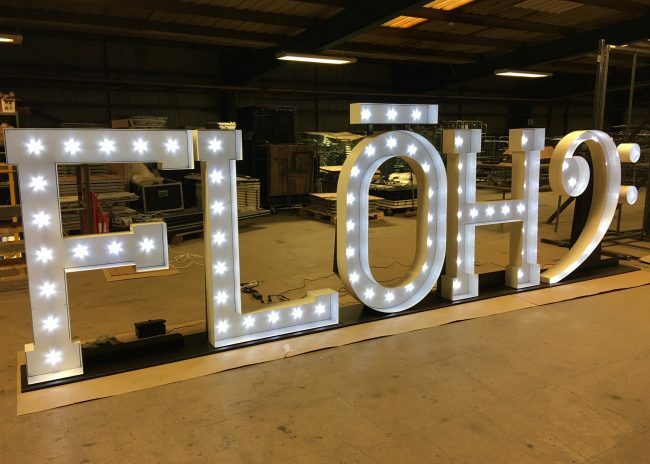 Generally manufactured in our fabrication facility using our state of the art laser profiling machine, large modern brake press, skilled welder/fabricators and the powder coated internally, we can offer a range of standard products or bespoke products designed to your requirements. 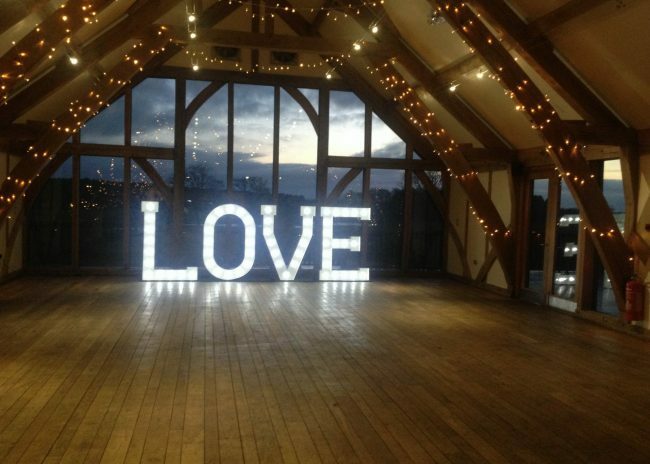 Any letter of the alphabet in 5′ (152cm) height fabricated from 2mm mild steel and quality high resolution LED illumination. We have carefully designed our alphabet letters to be Health & Safety compliant. 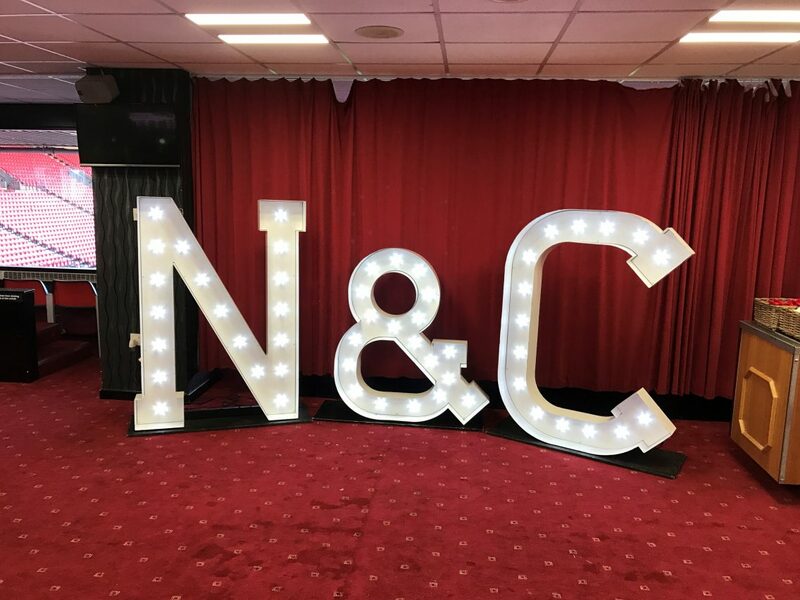 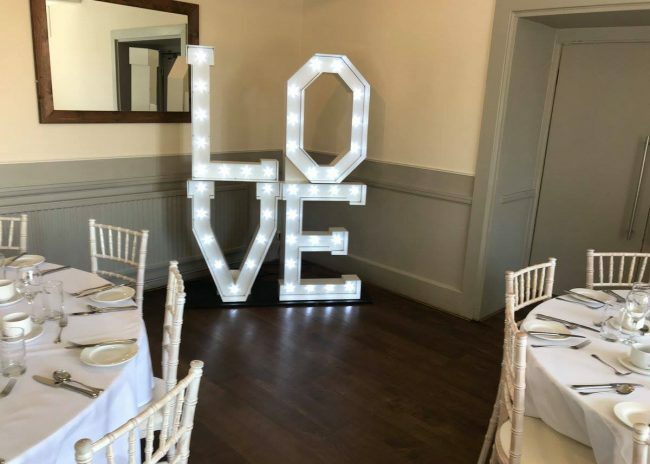 the letters sit with a slight backward rake on a sturdy counterbalance stand, the last thing you need is the letter falling over and injuring a guest such as maybe possible with lone standing oversize wooden or moulded letters! 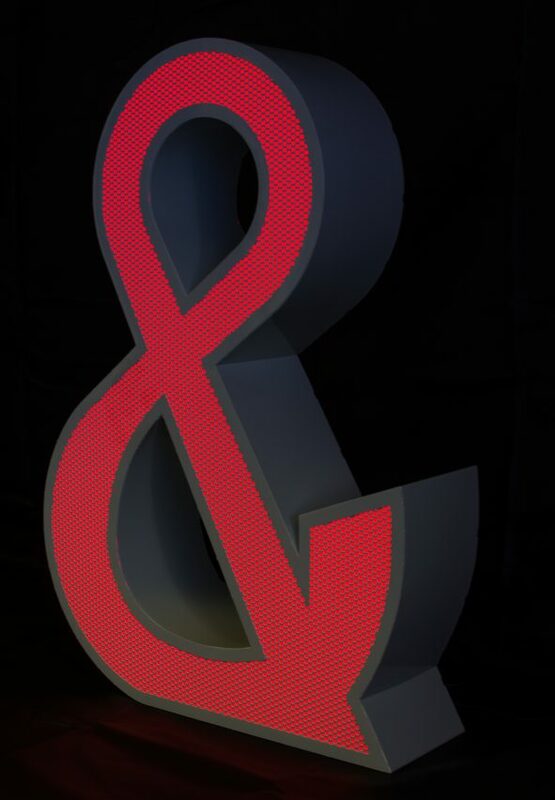 Not only letters but hashtag and ampersand (&) or other punctuation can be incorporated. 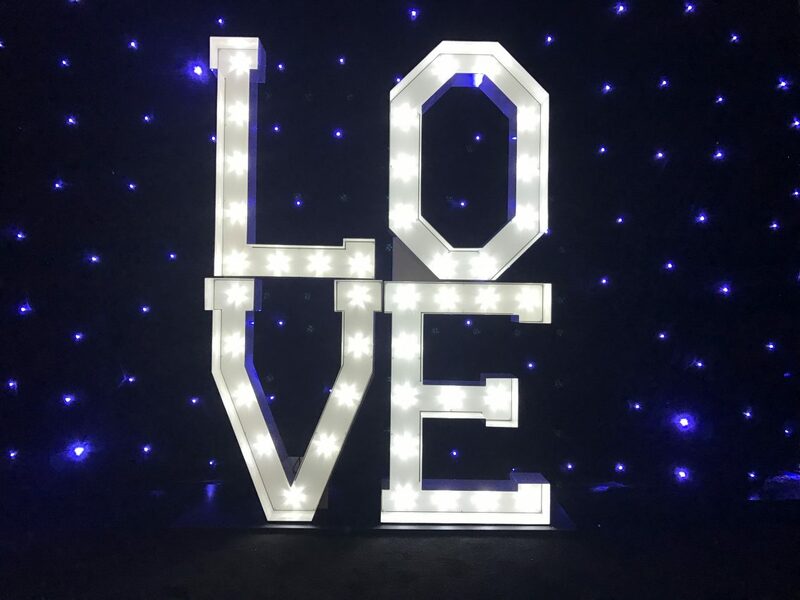 Letterlok® heart is available as 5′ or 6′ and the stacks are a group of letters to form a word or phrase with the most popular being LOVE as a square stack. 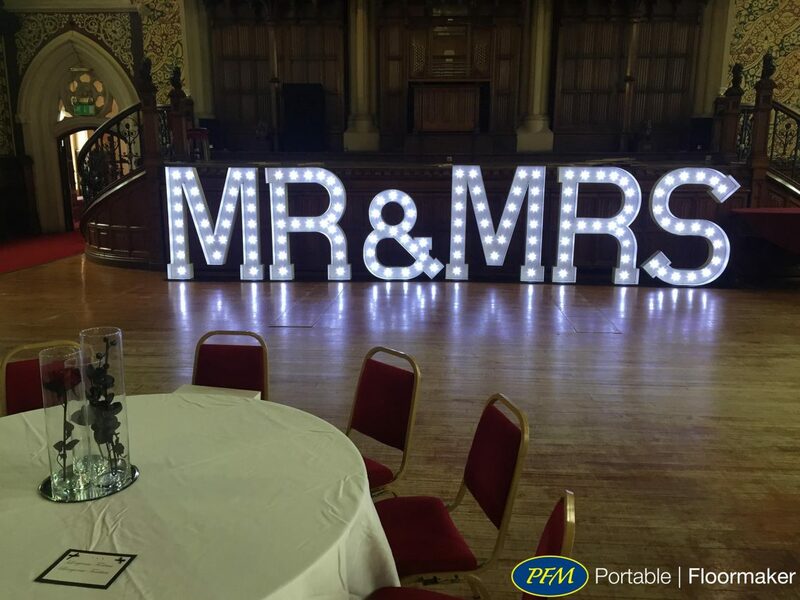 Quick & easy to set up, aesthetically pleasing and certainly eye catching! Letterlok® RGB is designed with the same colour aesthetics as the Barlok® range of portable bar units available from Portable Floormaker in the the front of the letters is protected by a mesh panel. 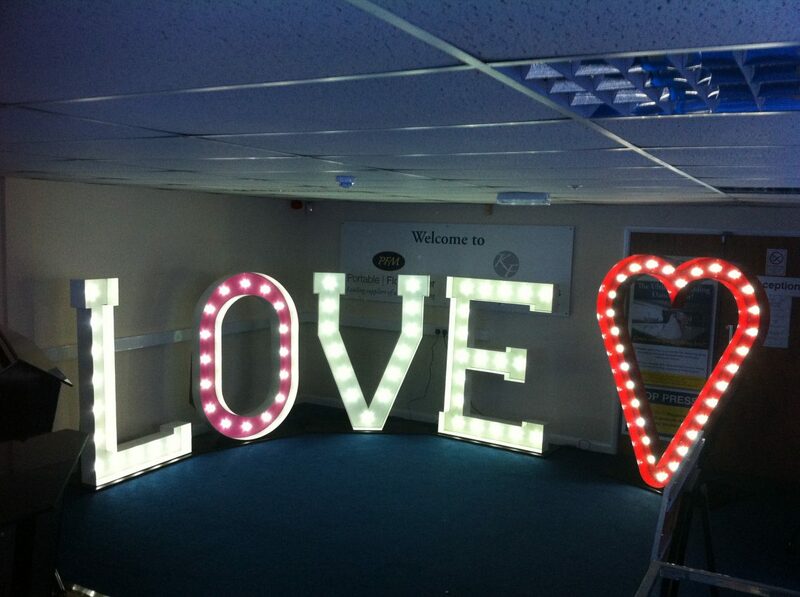 The letters themselves are small at 3′ (92cm) height. 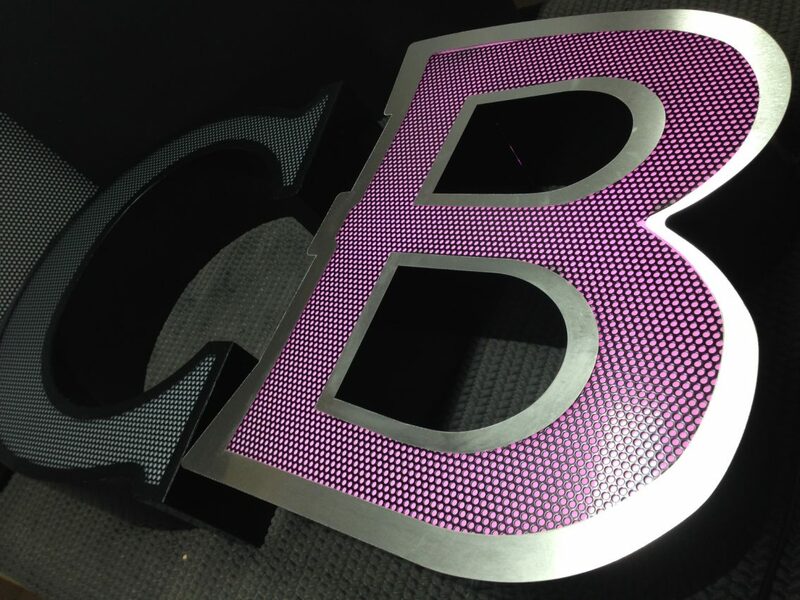 Utilising high quality RGB tape as in Barlok® ensures a vibrant but not blinding colour wash is achieved. 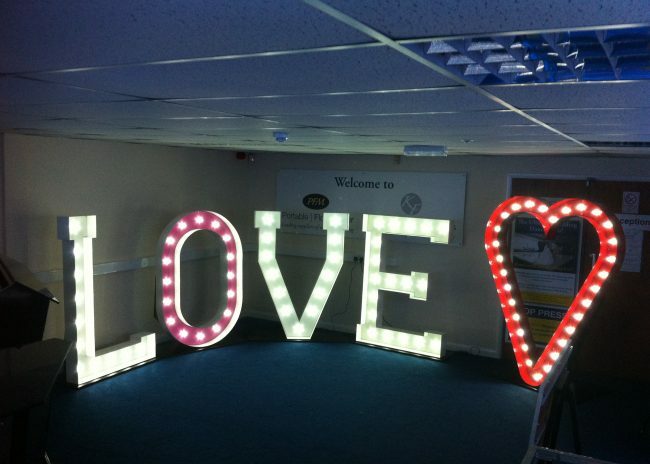 Any letter is available as are the punctuation and miscellaneous characters such as the ampersand (&) and the hashtag. 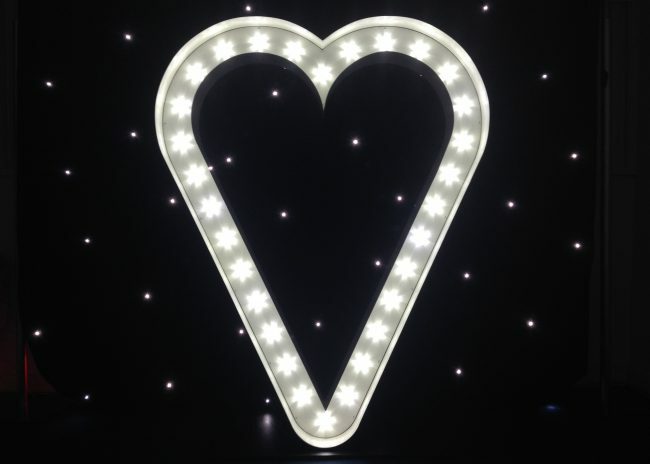 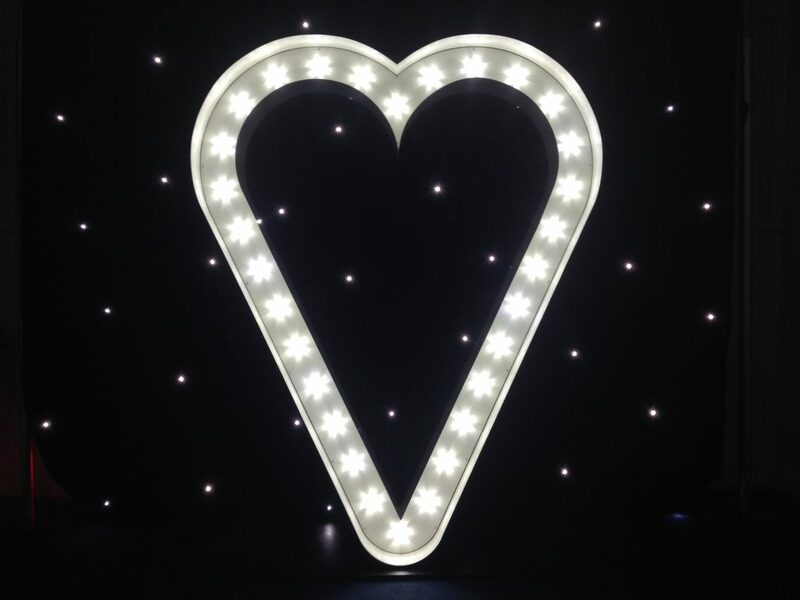 On request from a customer, we have designed the Letterlok® Aisle Markers for use in wedding ceremonies with the Mr & Mrs, LOVE or even company logo text all back lit with high quality RGB tape and a rechargeable battery to allow the units to run on battery or mains power. 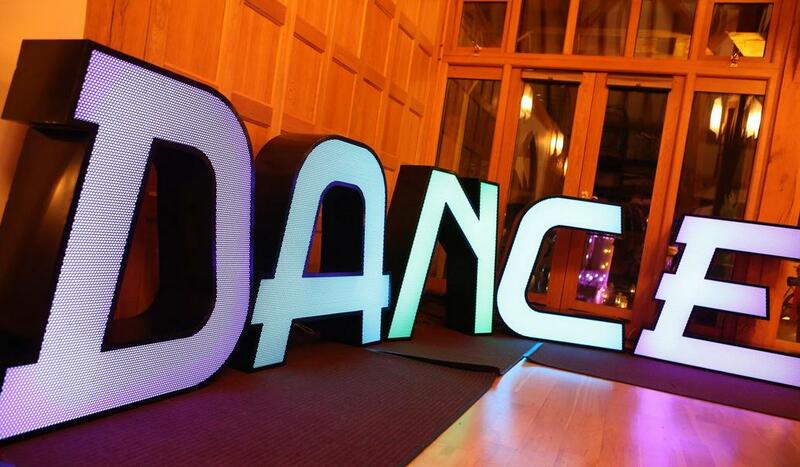 Colour options are achieved using the remote control unit. The top of the aisle markers has a built in flower vase (no water!) to increase the effect.